19 Reasons Williamsburg is the perfect place for your fall golf trip! 1. Affordable Condo Accommodations – Why would we start here? It’s about the golf isn’t it? Yes it is about the golf! BUT its’ also about the other stuff too and Williamsburg has several great condo options including two, three and four bedroom units with full kitchen, large living rooms and centrally located to area courses. These are a great place to hang out, kind of like the Frat house but a lot nicer and a lot quieter because most of us now fall asleep by 10:00 regardless of how late we think we are going to stay up. Except for that guy or two in every group, but they do keep it entertaining! 2. Great local dining and things to do after golf – Ok, so 15 years ago this wasn’t a very strong statement. I know, I live here! But today there are a lot of very good restaurants including very good steakhouses like Opus 9, great local cuisine at Merchants square with Blue Talon, Fat Canary, and the Trellis all award-winning restaurants in a very unique setting, historic Colonial Williamsburg! Want the casual place with great food and cool hang out? We’ve got those now too! The Newtown area has several including Paul’s Deli, Cogans, Center Street Grill and Corner Pocket. 3. Course conditions – Williamsburg’s’ Golf courses are Bermuda tees and fairways meaning they are in their best condition after summer growing season. Wait until late September and greens have all healed from fall aerification plus superintendents don’t have to protect them from the heat so they cut them and roll them more often which means they are smooth and fast! 4. Weather – We definitely have all four seasons in Williamsburg with winters being on the mild side and summers a little on the hot side. Spring is great but can be somewhat up and down with one day 80 degrees and the next 65 degrees, but fall temperatures are very consistent after late September and through early November. This is also, generally one of our dryer periods. Temperatures range from high 70’s in late September to mid 60’s in early November. 5. Thru 19. – Finally the Golf! 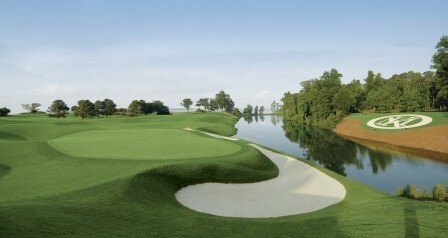 Williamsburg has 15 championship courses including two of the east coasts top golf resorts Kingsmill and Golden Horseshoe. Hosts of numerous PGA, LPGA and USGA events. Two very unique Mike Strantz designs, Traditions at Stonehouse and Traditions at Royal New Kent Golf Club and several facilities with multiple courses on site making it convenient to play two different courses in the same day. There are a lot of great promotions to choose from including trips with free lunch and beer and free replays, visit Virginia Golf Vacations Williamsburg Golf Packages page to learn more and request a quote. 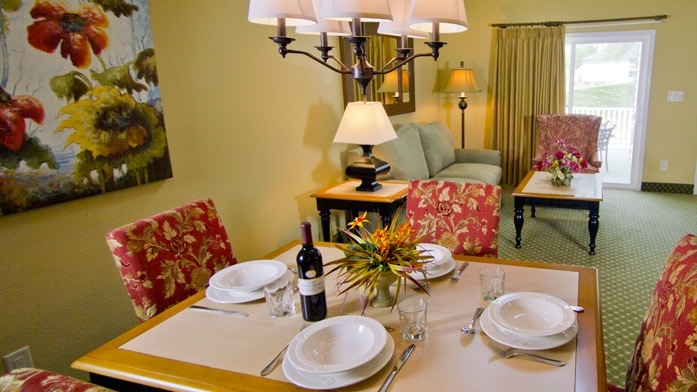 Virginia Golf Vacations will get back to you with a trip price in less than 24 hours! Virginia Golf Vacations can make all of the arrangements and also accommodate individual billing so the group leader does not have to worry about collecting payment from the golfers. Take 60 seconds and fill out a quote, you wont be disappointed Virginia Golf Vacations makes group leaders look good!